Hello and welcome to KS WoodCraft. As a small, family owned-and-operated business. We are truly happy you’re here and greatly appreciate an opportunity to design your custom wood furniture. 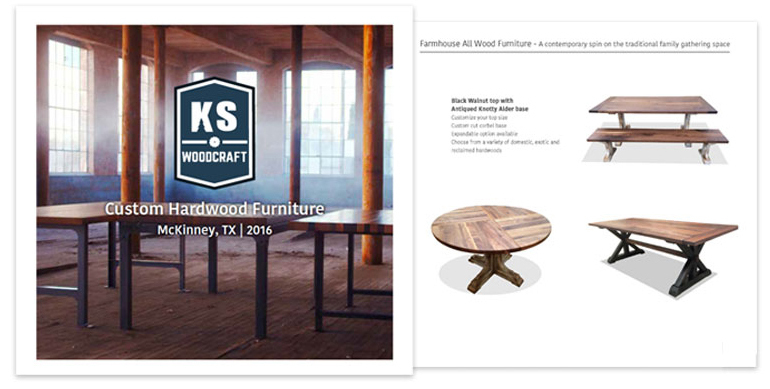 We operate a custom wood furniture shop that specializes in hand crafting Rustic, Modern, Farmhouse and Contemporary wood furniture. We use a variety of solid hardwoods that are domestic and foreign. Ken and Suzanne Schumacher, are the founding members and the catalyst behind the award-winning Rustic Oar Furniture Company, which was founded in 2012. While the business did well, it was their desire to be more appealing to every style home. 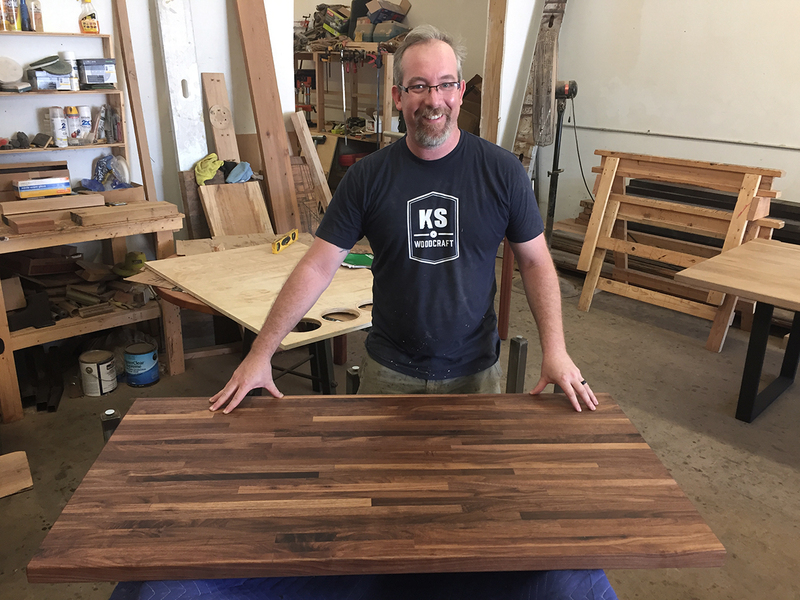 While Ken and Suzanne still wanted to build “tried and true” Rustic and Modern Industrial, custom, wood furniture, they also wanted to create a higher quality product. They decided to use exceptional materials and applying more detail and laborious craftsmanship to show off their true talent. 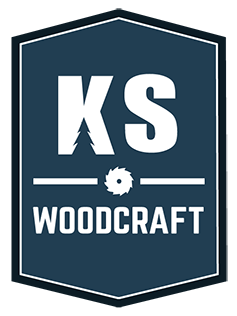 This is our flagship; this is KS WoodCraft. 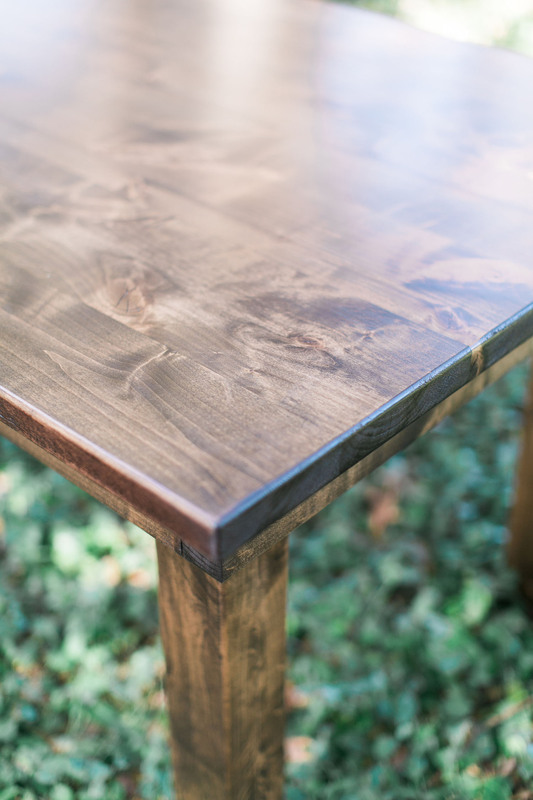 » All of our tables are built with highest of quality and 100% custom made to fit your vision.